Knowledge of soil–plant transfer of naturally occurring radionuclides can be essential to assure an adequate radiological protection. Available data are mainly for anthropogenic radionuclides and biased for temperate climates. Wheat plantlets were grown using soil collected in Mediterranean regions and transfer factors, TF, for 234,238U, 226Ra, 210Po and stable elements (K, Na, Ca and Mg) were determined. U, Ra and Po were mainly located in roots. 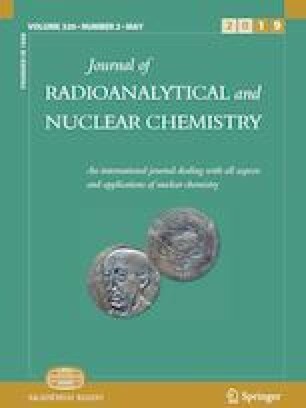 Calcium presented the highest TF values, whereas for radionuclides were much lower. Uranium TFs were correlated with total and exchangeable potassium concentration in soil. Calcium and radium TFs were correlated with total calcium concentration in soil. This work was made possible by the funding provided by the Spanish Ministry of Science and Innovation to the Project No. FIS2011-29788. We are also grateful to the Autonomous Government of Extremadura (Junta de Extremadura) for financial support granted to the LARUEX research group (FQM001).